This highly accessible overview of Art Deco, embraces nearly every artistic medium—offering paintings and photography to furnishings and film—through fifty superb examples of Art Deco style that reveal the period’s richness and range. 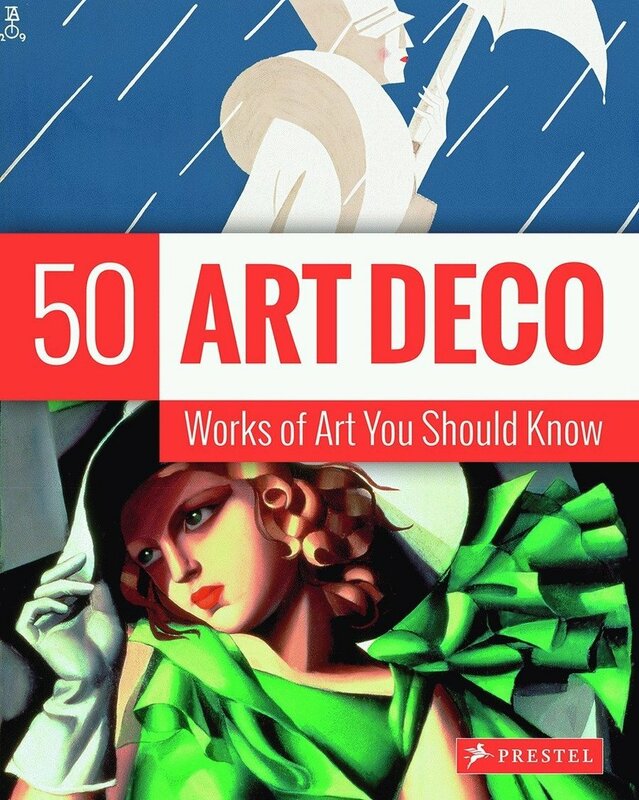 This new addition to Prestel’s successful “50s” series focuses on Art Deco, an artistic movement that originated in France after World War I and spread throughout Europe and America. Presented chronologically in fullpage illustrations accompanied by explanatory texts, these fifty iconic examples demonstrate the variety of ways Art Deco was expressed. Included here are a soup tureen designed by Jean Puiforcat; Edward Steichen’s portrait of Fred Astaire; a brass-framed mirror by Austrian Franz Hagenauer; a still from the Busby Berkeley film, Footlight; and The Portrait of a Young Girl in a Green Dress by the Polish painter Tamara de Lempicka. Other examples include jewelry, architecture, posters, and items used in everyday life. Opening with an authoritative overview of the Art Deco movement and including biographies of each of the artists, this is a compact and affordable reference work and a beautifully designed book for every art lover’s library.